Water is the basic unit of life, and we need it to stay healthy. We need clean drinking water, and we can get it by filtration. Many people are asking about how to filter water. There are actually many ways to do it, and this article will provide you with the necessary information about water filtration processes. Humans need to drink at least eight glasses of water per day, and if you do not have good quality water, you tend to get dehydrated quickly. It is hazardous to one’s health if he or she is dehydrated or lacks consumption of water. A sports drink cannot do the jobs, even though these drinks replace electrolytes quickly. Good quality water is still the best. To get great tasting clean water, you should filter it. 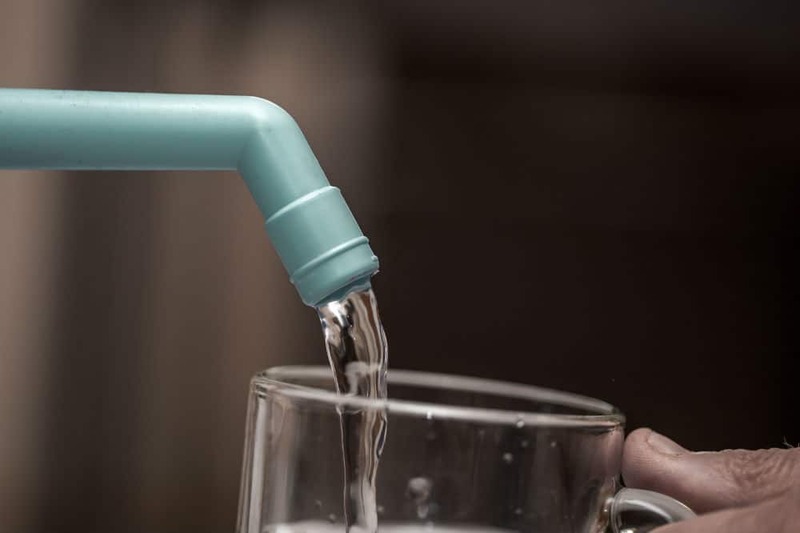 Even though your local water supplier has filtering equipment for the water consumption of the general public, you should still do some water filtering at home to get rid of undesirable particles. There are natural and chemical-based methods. Clean and potable water is a must for every household. Having clean drinking water will help you and your family stay away from various kinds of illnesses and diseases. Consumers have several options when it comes to water filtration methods. Carbon water filtration is an old technique wherein incoming water passes through a carbon cartridge. Carbon contains resins that attract and capture impurities. These filters can be attached directly to the faucets, and there are very easy to install. These filters can also be replaced or cleaned. Reverse Osmosis, on the other hand, can remove large amounts of contaminants. This method is considered to be one of the most effective water filtration methods yet. This is done by forcing water by high pressure through a semi-permeable membrane. This is effective in removing various kinds of chemical pollutants and organisms that are harmful to humans such as E-coli bacteria. This downside of this method is that it can make your water bills higher. Water distillers are not that popular and it not practical for household water filtration use. This works by boiling water and collecting the condensed vapor. This is done since heat can kill harmful microbes while not affecting the chemical components in water. This process does not remove, iron, fluoride, and chlorine, among many others. Here are some of the water filtration methods that you can do. People living in villages do not have access to clean drinking water, and they have developed some techniques on how to filter water naturally. There are natural water filtration methods that are practiced all over the world. Using clay jars in filtering water has been practiced for many years. The clay jar was molded in a certain way that it was porous. The villagers put water in the jar and leave it to filter overnight to be consumed the following day. Although natural methods can help dirty filter water, it cannot completely get rid of the bad smell and taste of it. This kind of filtration methods does not also remove certain contaminants and bacteria in the water. Removes hard metals and other contaminants in water. Removes bad odor and smell. Filter cartridges are easily cleaned and replaced. Some filters retain certain minerals in water that is needed by the body. Can be easily installed in your home or workplace. There are certain parts of the world where there is water scarcity. The people living in these places do not have access to clean drinking water. Conventional water filtration techniques are being used, and one of them is by adding chlorine and other chemicals to the water to kill bacteria and other contaminants. Chlorine has been the chemical of choice for many because of its ability to remove impurities in water, and it is also cheap as well, but using chlorine has lead to many serious drawbacks. Along with the capabilities to remove contaminants, it also removes certain minerals in water which is needed by the body to stay healthy. Another drawback is that chlorine can cause certain reactions to the metal pipes in most residential plumbing systems. This causes heavy metals to be transported along the pipes. There are water treatment methods that are very effective in removing contaminants it also strips out the essential minerals thus removing the health benefits of water. It will be better if you purchase a water filtration system that can easily be installed to your house. There are products that can effectively kill germs in water while retaining the natural minerals that the body needs. It is highly advised that you get a product that has a multi-stage filtration system. Filtering water is really a must for every household. There are tons of products that you can choose from, and you should make the right decision. If you want to remove fluoride, chlorine and other substances, then look for a method that targets these substances. Do your research since not all filters are able to remove specific substances in water. There are also filters that are designed to soften water into smaller molecules which allow the body to absorb water more efficiently. If you are still not sure about what product to buy, you can read product reviews on the internet, or you can call a reliable vendor for advice. There are professionals that are willing to assist you. It is better to get useful information about these kinds of processes before buying a water filtration system. Purchase water filtration products from reliable sources so that you can be sure that you are only getting high-quality equipment that has gone through product testing. You should be aware of the products that are being sold on the market today. Also, it is best to get more information on how to filter water efficiently. Do not drink dirty water and install a reliable water filtration system today.